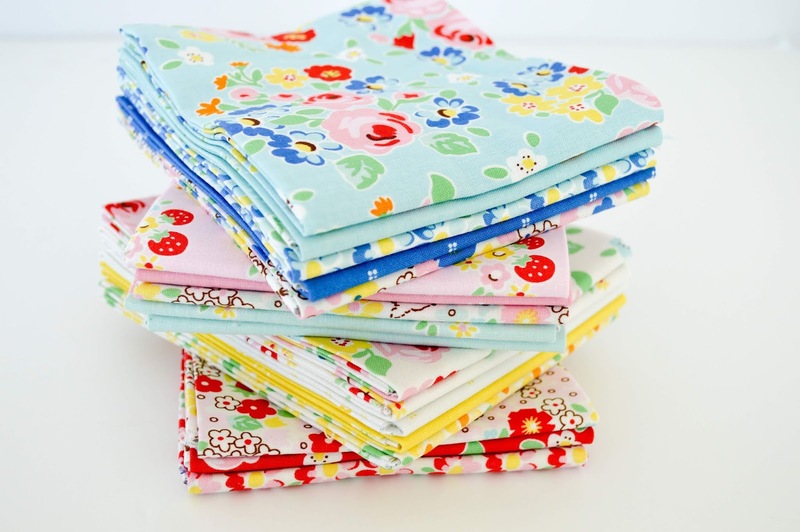 It's not an exaggeration to say that I mark my calendar whenever I see that my dear friend Elea Lutz is releasing a new fabric collection. I've been collecting her prints for years now, and they're some of my favorites in my entire stash. Her latest release is called Bluebirds on Roses, and it's absolutely beautiful. See what I mean? It makes me SO happy just looking at it! 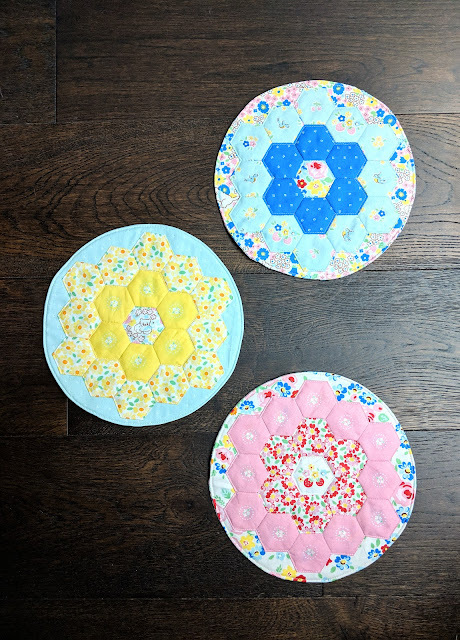 I've been going through a hexagon phase lately, so I decided to make EPP hexagon flowers which I appliqued to small round placemats that my girls can use underneath their breakfast cereal bowls in the morning. 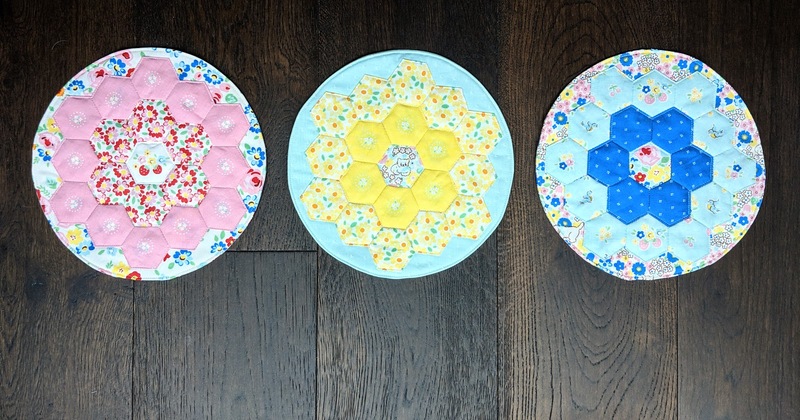 Won't these beautiful prints be a lovely way to start the day?! 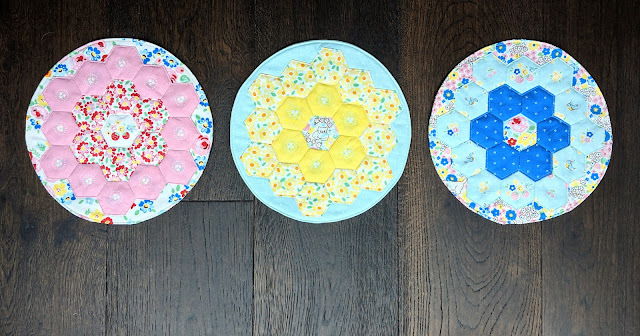 I love to do hand sewing in the evenings while my husband and I relax in front of the television after a long day, and these hexagons were such fun to work on as we laughed together over a favorite show. The colors are just perfect, and I especially love the tiny details that Elea has sprinkled throughout each print: bluebirds, kitty cats, strawberries, cherries, and of course, flowers galore. 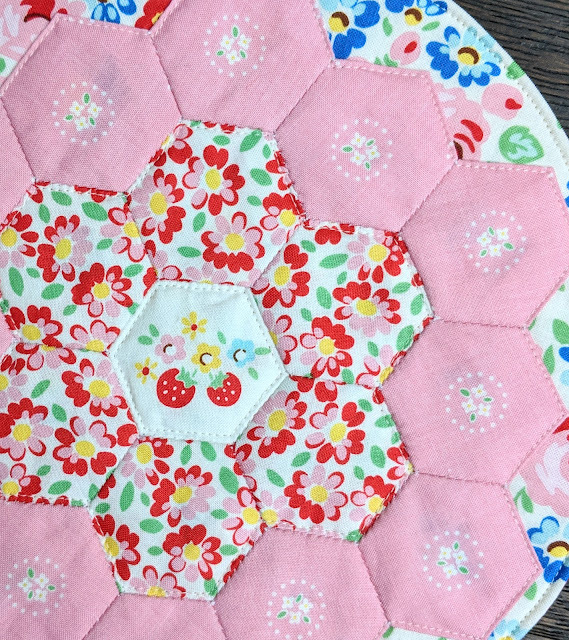 Her designs are such a beautiful cross between traditional and modern, and they always make me smile. These are absolutely adorable! I would love to learn how to make these! I love this! Breakfast will be much more fun with these underneath. Thanks for the idea! 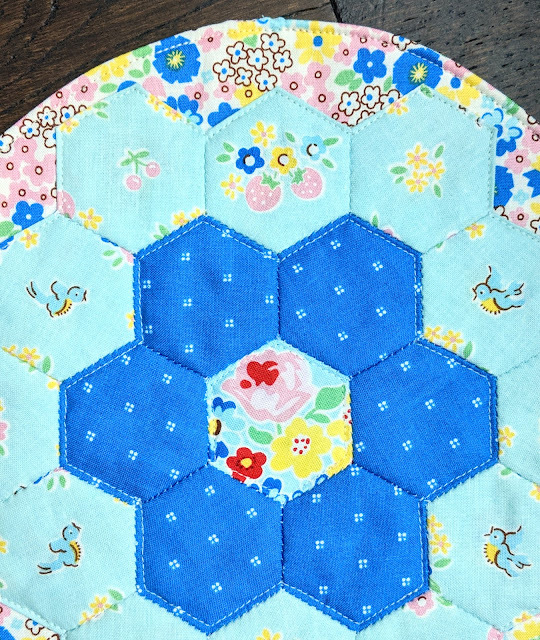 I am also making a lot of hexies. I take care of my 95 year old dad and we do a lot together but I drive him also to his doc appointments. So making hexies is fun. I can't believe a year ago I said to myself, "I don't that that looks fun or interesting- no time) and here I am. What happened. 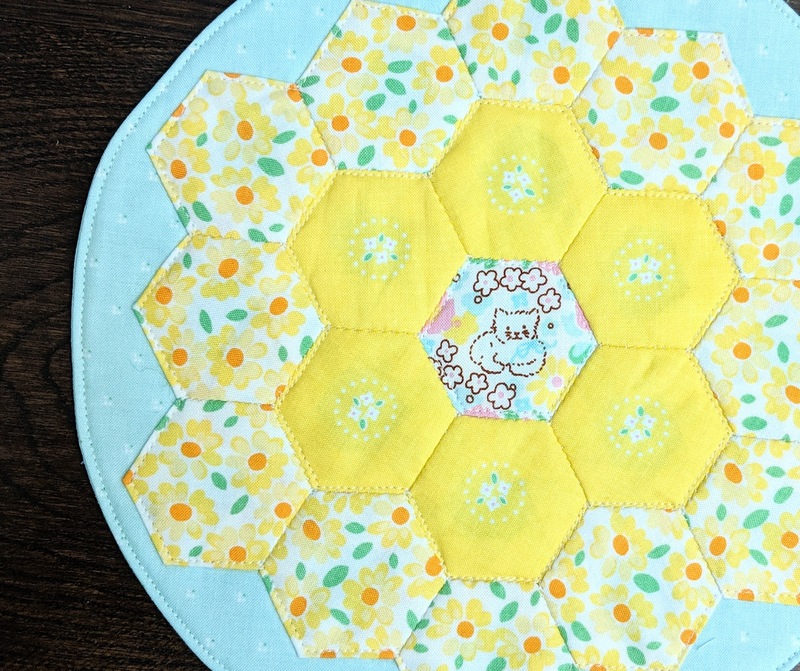 I love the little placemats. These would make great gifts for all the people I love. I need some of this fabric now. So beautiful.I love add hexies to the small projects and I 'm making hexiea for a future king size quilt. They are perfect...would sure make me smile just to see them.